DWI Defense: Attacking the Introduction of the Portable Breath Test (PBT) | Minick Law, P.C. The most commonly used device during a DWI investigation is the alcohol screening test device or the portable breath test (PBT). This device is a tool designed to give officers a tool to validate their decision to arrest a potential impaired driver. It is a hand held device that requires a sample of breath init a straw to determine the presence of alcohol in a person’s body. The fact that a driver showed a positive or negative result on an alcohol screening, but not the actual alcohol concentration result, or a driver’s refusal to submit may be used by a law enforcement officer, is admissible in court, or may also be used by an administrative agency in determine if there are reasonable grounds for believing that the driver has committed an implied-consent offense. The bold language of the statute is critical. Officers cannot use the numerical value of the PBT in determining whether to arrest a suspected impaired driver. If it can be shown the officer did in fact use the numerical value in making the arrest, then the PBT should be suppressed. However, proving that the officer did in fact use the numerical value in making the arrest can be a herculean task. When exactly was the PBT performed? When trying to determine if the officer did in fact use the numerical value, the facts of each case are very important. Some facts to look out for include whether the PBT was performed immediately or towards the end of the investigation (the National Highway Traffic and Safety Administration states clearly in its training material related to DWI investigations that the PBT should only be performed after the any standardized field sobriety tests were conducted in order to validate an arrest decision). Were other field sobriety tests administered? Also check to see if any standard field sobriety tests were actually performed. Did the officer mention any other signs of impairment such as slurred speech, red glassy, eyes, or odor of alcohol? The lack of other evidence of impairment on a police report makes it more likely that the officer used the numerical value in making an arrest decision. 1) The officer shall determine that the driver has removed all food, drink, tobacco products, chewing gum, and other substances and objects from the his mouth. Dental devices or oral jewelry need not be removed. 2) Unless the driver volunteers the information that he has consumed an alcoholic beverage within the previous 15 minutes, the officer shall administer a screening test as soon as feasible. If a test made without observing a waiting period results in an alcohol concentration reading of .08 or more, the officer shall wait five minutes and administer an additional test. If the results of the additional test show an alcohol concentration reading more than .02 under the first reading, the officer shall disregard the first reading. 3) The officer may request that the driver submit to one or more additional screening tests. 4) In administering any screening test, the officer shall use an alcohol screening test device approved under 10 NCAC 41B .0503 of this section in accordance with the operational instructions supplied by the Forensic Tests for Alcohol Branch and listed on the device. The first question should be whether the office used the device correctly. Did the officer check to see if the driver has removed all food and drink from his mouth? Did the officer ask the driver if he had consumed alcohol within the last 15 minutes (to prevent mouth alcohol from disrupting the reading) and if so did the officer observe the waiting period? A critical, but nuanced point is whether the officer performed just one PBT test. The statute mandates that if a reading over .08 is obtained that the officer must complete another PBT test. If any of the above steps are not correctly taken, the argument should be made for suppression of the PBT. Was the PBT Properly Calibrated? b) the agency or operator shall verify instrument calibration of each alcohol screening test device at least once during each 30 day period of use. The verification shall be performed by employment of an alcoholic breath simulator using simulator solution in accordance with the rules in this Section or an ethanol gas canister. c) Alcoholic breath simulators used exclusively to verify instrument calibration of alcohol screening test devices shall have the solution changed every 30 days or after 25 calibration tests, whichever occurs first. d) Ethanol gas canisters used exclusively to verify instrument calibration of alcohol screening tests devices shall not be utilized beyond the expiration date on the canister. e) Requirements of Paragraphs (b), (c), and (d) of this Rule shall be recorded on an alcoholic breath simulator log or an ethanol gas canister log designed by the Forensic Tests for Alcohol Branch and maintained by the user agency. An often overlooked attack point of the PBT is the calibration requirements. It is necessary for the PBT to be calibrated every 30 days. The simulator’s solution itself must also be changed every 30 days or after 25 calibration tests, whichever occurs first. And all of this must be recorded in calibration logs. It is rare that an officer will have the calibration logs or even know the last time the PBT device was actually calibrated. The language specifies these foundational requirements must be completed for the PBT device to be admissible evidence. If any one of these were not completed by the officer, then there is a great argument for suppression of the PBT. Every DWI case is its own creature. The facts are very important in determining whether the officer actually used the numerical value in making the arrest decision. The above mentioned statutes provide a great foundation for preparing to attack the admission of the portable breath test at trial so alway start by reading the relevant portions of the statutes. The name on my case is actually Raymond Thompson, Floyd Tune Same Person!Let me start by saying James Minick is a total professional and a top shelf lawyer quite possibly the best in the south east. Nc's best for sure. His representation of me proved that month after month. My case lasted 3 yrs not once did James lose faith, James would always keep me up to date about what was going on with my case. And in the end all charges were dropped. DUI/DRUGS, Carrying a concealed weapon, Open container and failure to maintain lane control.I had total confidence in James from the Get Go. If you need a lawyer and have any doubt about who you might want to hire I recommend James Minick 100% five star. Thank you once again James and if I should need it harder for anything in the future he would definitely be the one. I’m so happy I chose minick law to help with my traffic ticket. I received the best possible outcome and all for very reasonable price. They represented me in court which was great because I live two hours away ! They made this process easy and answered all my questions. I would highly recommend them and would absolutely use them again! 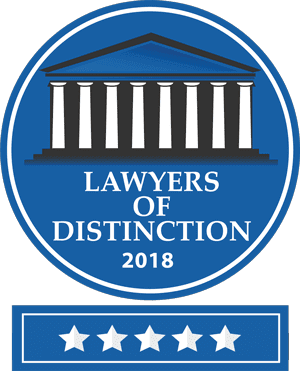 Minick Law provided outstanding service! They were professional and went above and beyond in their dedication to work for the best possible outcome. They were warm, caring, and kind. They exceeded my expectations in every way--I can't recommend them highly enough! James and his staff were extremely outstanding from start to finish. The staff was great for getting back to me with any questions I had in regarding my case. James has great experience and always figured out ways to help in my case dealing with the federal court system. James always had the time to speak to me about everything and was very positive and friendly. I was from Charlotte and I recommend James for any case, and I will definitely use him again in any circumstances. Thanks James for a great job! Being my first DWI, unfamiliar with Buncombe County where my incident occurred, and residing 6 hours away, I had to start out at step one upon finding trustworthy and professional representation. After much research, Minick Law topped my list. The Minick Law team is courteous, respectful, knowledgeable, EXTREMELY timely with responses and carry themselves with the utmost professionalism. I could not have selected a better attorney than James Minick. In the courtroom, he has a presence that carries respect, honor and heart. Being an attorney may be his technical profession, but truly caring about the client he represents speaks volumes in my book. I contacted Minick Law to help me expunge a 20 plus year old warrant that I didn't even know about. Their legal assistant and attorney took my information about the case over the phone and correspondence thru email and were able to take care of everything for me at a very reasonable fee. I was and am very pleased with their work. If you need good people on your side, definitely give Minick a call. James Minick office helped me feel better about my case, it was so easy and simple. He took all the stress away I had about my case and court by being very to the point and easy to get ahold of. His staff was always friendly and very quick with responses to questions I might had. I would recommend Minick Law to friends or family any day! Mr. Minick was very kind and professional. He made me feel comfortable and confident every step of the way, and in court he clearly knew everyone there and had arranged the result before I even spoke to the judge. Definitely worth the money for peace of mind. I've been very satisfied with Mr. Minick's legal services and his office staff's professionalism and communication. Attorney Minick is a great lawyer who advocates for his clients rights, and fights for them in court. In a world of lawyers being untrustworthy, Minick Law is a serious breath of fresh air. I'd recommend them to any of my friends and family who need criminal defense representation. I was allowing my 15 year old nephew to drive in Waynesville, N.C.. He had not received his permit yet, through no fault of his, and I was allowing him some experience. A lady pulled from a driveway on Mainstreet, and clipped our car. No charges were filed in the accident (limited damages), but I had inadvertently failed to renew my collision insurance the previous month, and, I was allowing an underage, unlicensed driver to operate a vehicle, a serious charge in N.C.. The insurance was back in force the next day, but the unlicensed driver charge could have been a Class 1 Misdemeanor, again, a serious charge. James arranged for these charges to be dismissed. I founded and build an Assisted Living Company whose Portfolio Value exceeds $40M, with over 500 employees. Our Corporate Legal Representation includes attorneys who bill $500+ an hour. The representation James provided was on par with these, and his results exceeded many of them.Thank you, James and Stephenie..!! I receive a speeding ticket in Asheville, NC about a month ago. I found Minick Law on the internet and chose them based on someone answering the phone instead of voicemail. I'm so glad they answered. Stephanie answered the phone and gave me all the information I needed in detail, which made it all the more easier to choose this firm. The results were just what I was hoping for and feed back was very prompt. I highly recommend Minick Law and will choose them if ever needed again. Mr. Minick is an excellent DWI attorney who analyzes every aspect of the law to help fight your case. He truly cares about his clients and is prompt in his communication. If you have been charged with DWI, hire Mr. Minick--he's the best around. Mr Minick was so wonderful to me! He was incredibly patient with me (especially financially) and I know I was probably quite ridiculous, but he just made sure everything went perfectly for me anyways! If you're in a bad sitch, definitely head to Mr Minick. He's experienced, friendly, and damn good. Thank you!!! I have an interlock device installed in my car due to a DWI and made an appointment with Mr. Minick after receiving a DMV notice stating that I was losing my license due to a violation on the device. It was a pretty high alcohol violation and my odds weren't looking favorable. He was able to get me in very quickly and each appointment I had with him before my hearing was very productive and thorough. The days before my hearing I still had a lot of documentation to complete and he was available over the phone/email even in the early morning and evenings to make sure we were as prepared as possible. I felt important and that he was doing everything in his power to make sure I kept my license. The hearing officer initially seemed like he was going to decide to revoke my driving privileges, but I could see him slowly begin to change his mind as Mr. Minick presented his argument. It was obvious that he'd spent a lot of time working on it. We ended up winning. I was very proud to have him represent me and highly recommend him. Mr. Minick strives to offer an exceptional client experience. He succeeds by offering a thorough understanding of the law, compassion, and a team that communicates and cares for the client.No need to look for an attorney any longer, Minick surpasses the others with knowledge and the skills to passionately seek the most favorable outcomes. Strongly Recommend Attorney Minick & Minick law! He was an incredible asset during a very stressful time (DUI). Minick was always available to answer questions and very organized so I was in the know every step of the way. I can't speak highly enough of his representation and encourage anyone facing a DUI or otherwise to give Minick Law a call, you won't regret it (even if you regret whatever may be bringing you to his office!). Attorney Minck is a great lawyer with an amazing staff. Attorney Minick walked me step-by-step through the process of getting my case handled pomptly (before my scheduled court date even) as well as getting the record expunged. Any questions I had along the way were always quickly and effectively answered through his stellar staff who were all very knowledgeable and helpful. I highly recommend Minick Law to anyone in need of legal consultation. I spoke with Mr. James K. Minick with regards to helping me get my driver's license reinstated. He was very respectful, upfront and honest with me. He basically saved me $2K or possibly more by being honest. Most attorneys would have their hand out wanting money and giving false hope. I truly appreciate Mr. Minick. I would highly recommend this law firm for any service that they offer. Amazing lawyer!!! Mr.Minick went above and beyond d to help me prepare for the case, including gathering evidence and helping me through every little detail. Fantastic communication! Very prompt and professional and can not thank him and the staff he has at Minick Law enough for getting me through this troubling ordeal! Minick Law has been so supportive and helpful! Mr. Minick was easily accessible and talked me through my whole court proceeding. He always communicated that he had my best interest at heart and made sure that I understood every step of the process. I was lucky I found this law firm. They made me feel safe and taken care of while bringing a terrible life event to a close. I am so grateful! James Minick and his staff are extremely professional, personable, and genuinely concerned with helping people navigate the legal system to arrive at the best outcome. They offer so much value to clients - the blogs and vlogs are incredible! Their website is like an encyclopedia of DWI information and as an assessment and treatment provider, we often reference the blog and pass that value along to the people we serve. Legal issues are always stressful and anxiety producing, but Minick and his team keep things straight forward and transparent so you can breathe easier. Absolutely recommend their legal services!